Excalibur — MumbleBee Inc MumbleBee Inc.
Deal of the Day: $174.99 & FREE Shipping. 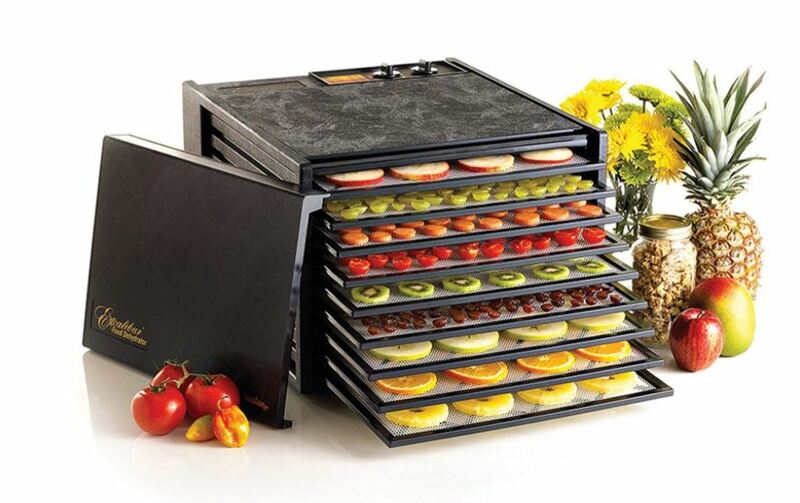 The Excalibur 9-Tray Large Dehydrator provides 15 square feet of drying space making this the biggest and best there is! Ideal for large families, large gardens, craftspeople, and sportsmen. 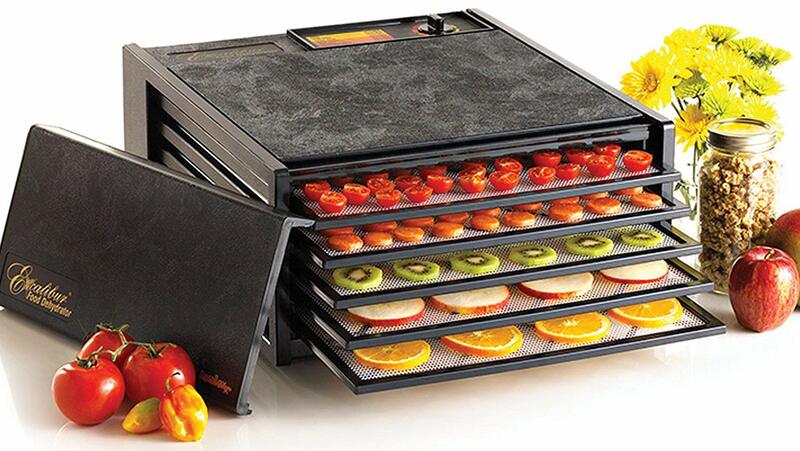 This unit includes flexible polyscreen tray inserts to prevent foods from sticking to trays, 7″ fan, built in on/off switch, adjustable thermostat, and a convenient 26 hour timer.